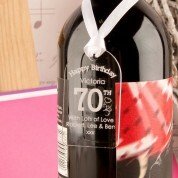 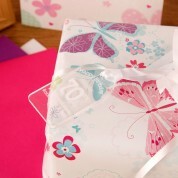 A personalised gift tag is perfect to go with the birthday wrapping paper or birthday gift bag. 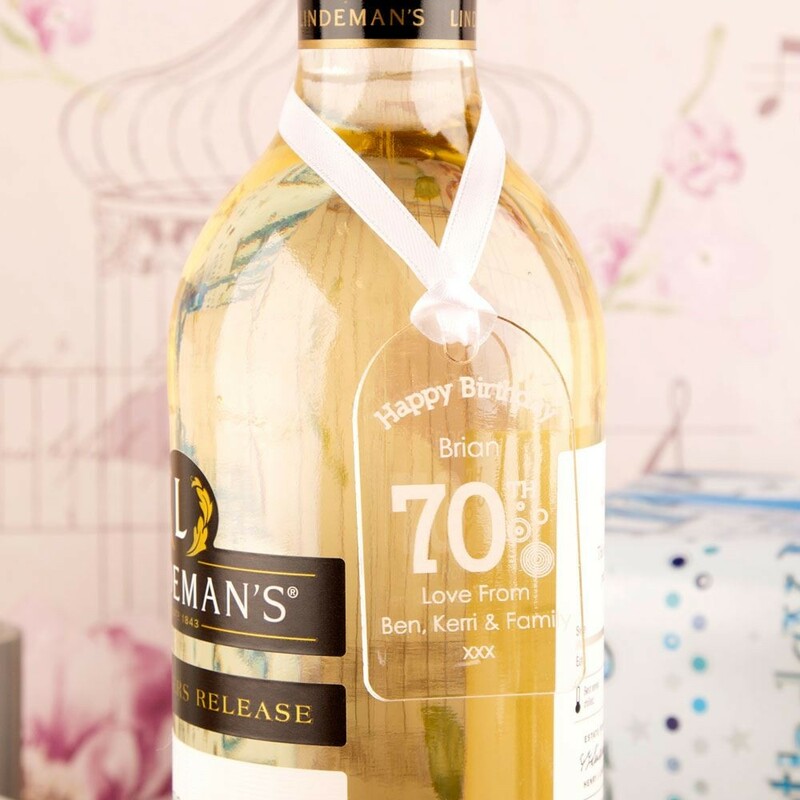 It will make your gift stand out from the others and will definitely put a smile on his or her face when they open the gift. 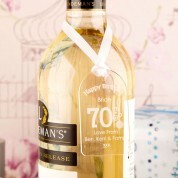 After the present (or bottle) has been opened, it can be hung up in the home with the loop of white ribbon. 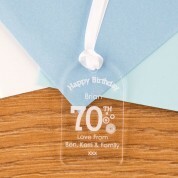 It looks lovely hanging from a window latch or on a cupboard door and as the sun hits the tag the engraving will shine through. 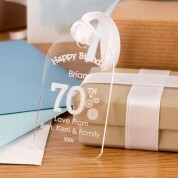 Material: Made from clear acrylic. 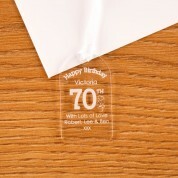 Dimensions: measures approx 3.5cm wide x 6cm high and 3mm deep.